The Bar or Bat Mitzvah milestone represents our Judaic recognition of the emergence of a youngster into adolescence as well as eligibility for ritual honors within the adult Jewish community. 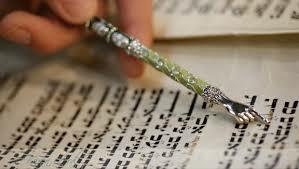 By being called up to the Torah as well as conducting key parts of the public prayer service, a child establishes one more link in the 3500 year (100 generation) chain of age‑old Jewish tradition. Emotionally and spiritually this experience is a high point in the life of each and every Jew or Jewess. It is the goal of our Rabbis, Cantor, Educational Director, Director of Synagogue Administration, Faculty and Board of Education that the Bar and Bat Mitzvah training and commemoration will be a pleasant, positive Jewish identity enforcing process. We hope and pray that this pivotal year will propel these soon‑to‑be adults into an affirmative involvement in our variety of youth activities, which include the CAI High School program, the Dr. Morris Werb Memorial Torah Reading Program, Israel Teen Travel and a host of other embodiments of quality Jewish living for adolescents who will be the synagogue members of the future. We also hope to assist interested families in learning experiences related to Bar or Bat Mitzvah which will affect parents, siblings and other committed portions of the extended family.